Elegant beauty combined with modern flair sum up the design of the luxury serviced apartments here. Conveniently located on the Cromwell Road, opposite its 5-star sister property, it's stately dimensions, exquisite tall pillars and floral decoration proudly show of it's Victorian pedigree. London's West End and Theatreland lie just across Hyde Park within easy reach. 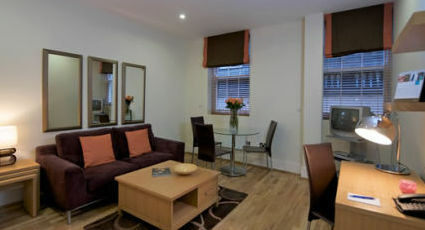 Gloucester Road tube station is located just moments away providing guests with convenient transportation links. Using the Circle, District or Piccadilly lines guests will find the rest of London easily accessible.